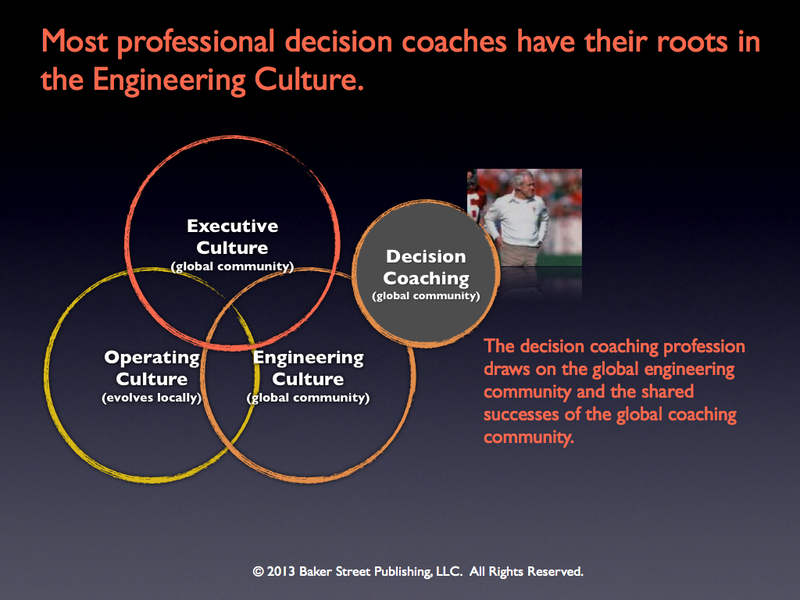 Decision Coaching 1.0: Our roots are in the engineering culture. 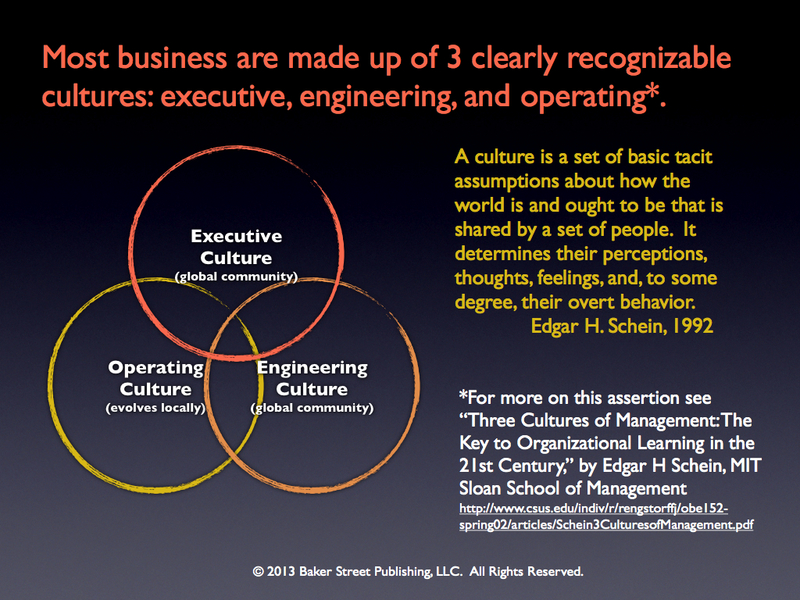 According to Edgar Schein, there are 3 separate cultures at work in most organizations: executive, operational, and engineering. His ideas are summarized in his 2006 article published by the MIT Sloan School of Management. Edgar Schein is a dean of American experts in organizational learning. He has stayed under the radar of the popular business press. According to Schein, a culture is a set of basic tacit assumptions about how the world is or ought to be that is shared by a set of people. It determines their perceptions, thoughts, feelings, and, to some degree, their overt behavior. 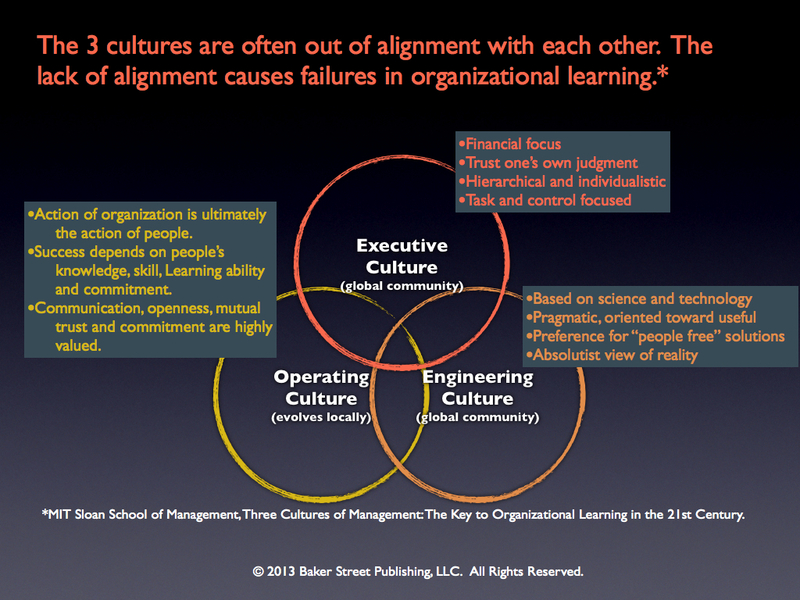 The Executive and Engineering Cultures are part of global professional cultures. This is the root of many organizational conflicts and communication barriers. The world views of the Executive and Engineering Cultures are driven by the norms of their profession as much as they are driven by the norms of the local Operating culture. 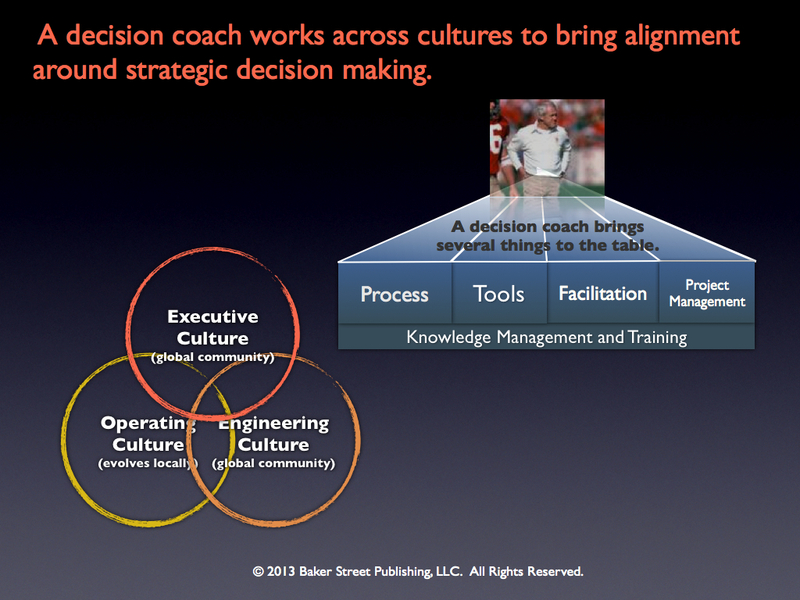 Decision coaching has its roots in the Engineering Culture. The ancestral home of decision coaching is the Management Science and Engineering Department at Stanford University (formerly the Department of Engineering-Economic Systems.) Professor Ron Howard has taught popular courses in Decision Analysis and Decision Engineering there since the 1960’s. From Stanford University decision engineering spread to SRI International in the 1960’s, then on to a constellation of consulting companies like SDG, SmartOrg, Innovative Decisions, ADA, and DFI. Now professional decision coaches are well intrenched in many industries: oil and gas, pharmaceuticals, high tech, the military, and government. Many top executives at places like General Motors are former decision coaches. The most common route to the executive suite is through operations. Another popular route is from business school to the finance department (another subculture). I look forward to the day when the trail from engineering to decision coaching to the executive suite is a well worn pathway. For more about decision coaching see, “A New Profession is Emerging: Decision Coach.” For more about the Edgar Schein cultural model see, “The Cult of Three Cultures,” by Art Kleiner of Booz Allen.